I can't believe it's been three weeks since I posted! For some reason, since we returned from vacation, life has taken an incredibly busy turn. It doesn't seem to be any one thing, just lots of assorted family, church and social events. All good stuff, but keeps me running. Next in line is to catch up on their birthday pages. And of course, trying to make some semblance of order of the 38 years of family photos that I would like to eventually scrapbook. Knitting hasn't been entirely put on the back burner. 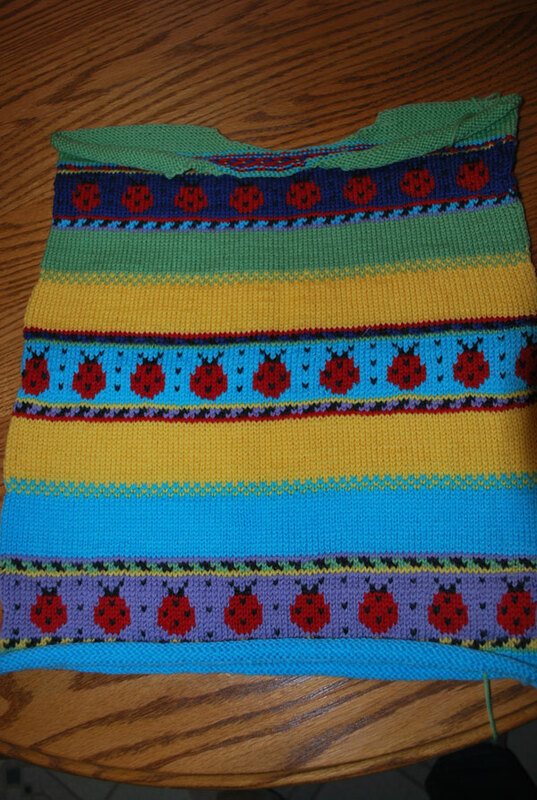 For one, I am still plugging along on Ben's sweater, although no exciting photos to show. From the notes on Ravelry, it was apparent that the sleeves on the Cambridge Jacket were going to be way too wide. I narrowed them, but now have to recalculate the sleeve cap. My first attempt was a little odd looking, to say the least. I am now working on the second attempt and am hoping for the best. Considering that this was Ben's last year's Christmas present, I really would like to have it finished by this year! This is Mei-Mei's sweater. 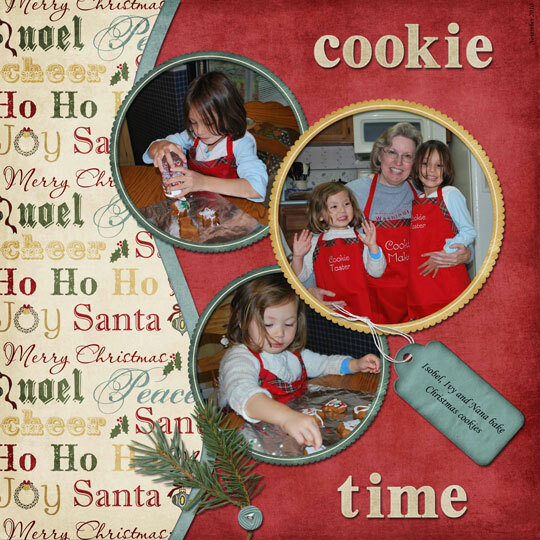 Isobel's will be the same theme, but a little different. 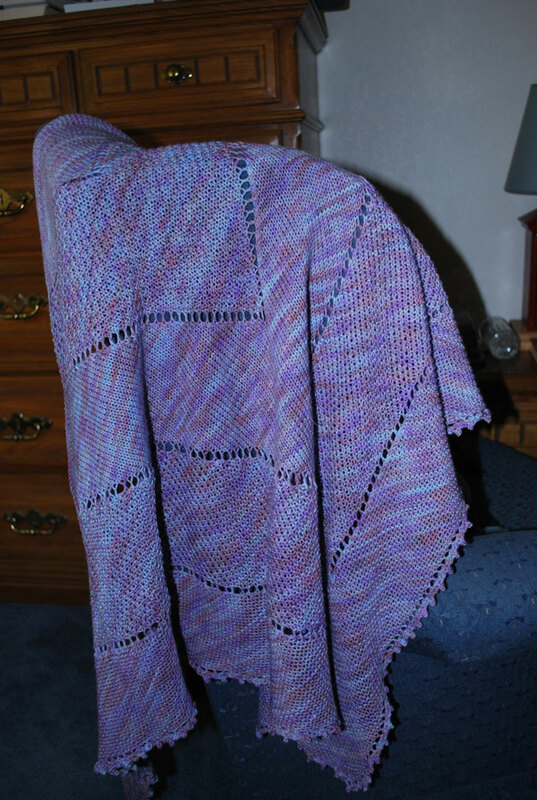 Rosevine by Dorothy Siemens (Fiddlesticks Knitting). 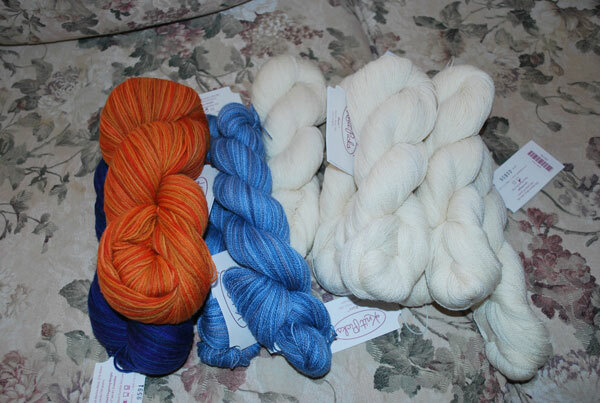 Yarn – Exquisite, also by Fiddlesticks, size 2 needles. Dewdrops by Dorothy Siemens (Fiddlesticks), yarn Exquisite, size 2 needles. 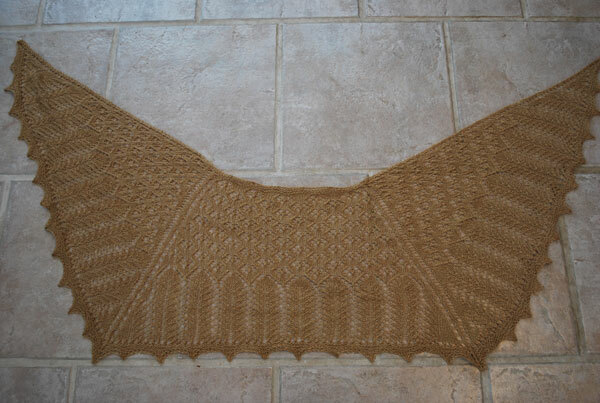 Swallowtail by Evelyn Clarke, yarn Misti Alpaca Lace, size 2 needle. Although this has been a fun challenge, it is not one that I will repeat in the future. 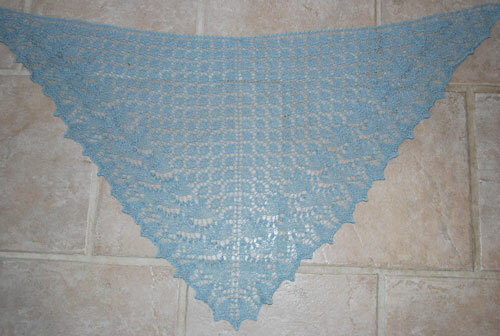 After the Christmas projects are done, I will probably start contemplating a large shawl project. Both the Wedding Ring and Queen Susan Shawl are calling out to me and perhaps after the new year I will be ready to wrap my mind around a complex project. 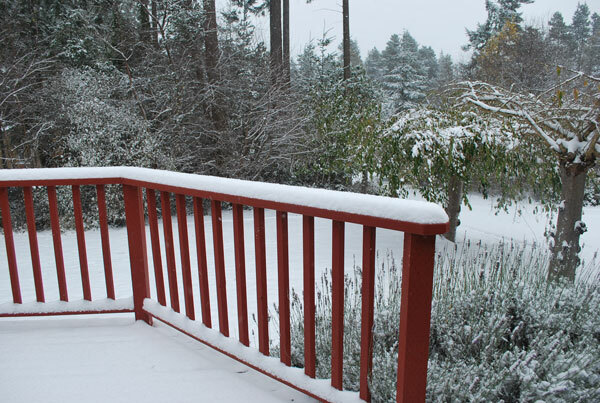 A very rare early snowstorm in Western Washington. This was taken about 6 hours ago and it's been coming down heavy ever since. Cars were slipping and sliding all around me, but I was nice and steady on the road and sure footed coming up the hill to my house. 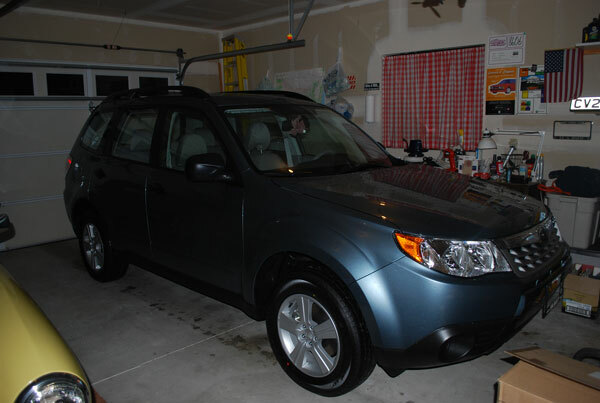 However, I was not about to tempt fate and parked Forest in the garage where he will stay until the roads improve! All of this snow will probably be gone by Thanksgiving. Or at least we hope so! I got Best Handspun Item! To say I was gobsmacked is putting it mildly. 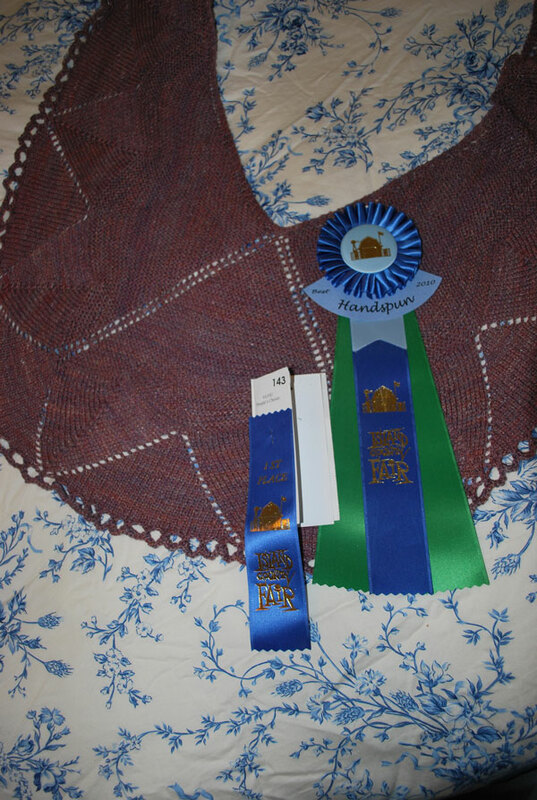 My humble little skein got a second place ribbon. Definitely an encouraging turn of events. Since I got back I've put in a little time at the wheel, but I've had some projects with deadlines that have taken priority. This is not to say that knitting has not been accomplished. I finished the Landscape Shawl. 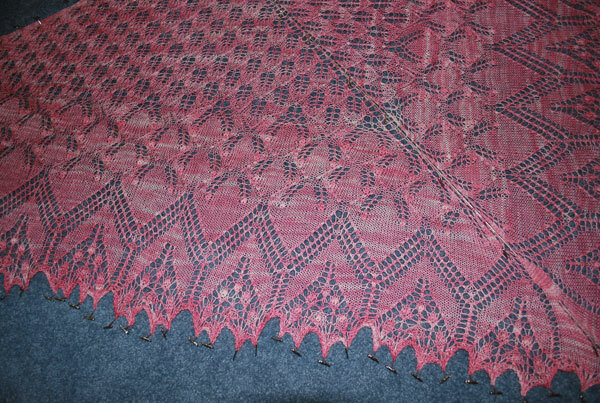 This is #9 of the 10 in 2010 shawl challenge on Ravelry. Although I do have Christmas knitting to do, I think #10 will be fairly easy to accomplish. The yarn is Dream in Color Smooshy, size 4 needle. I really do love this pattern. It's not completely mindless because you need to pay attention to stitch count and there was some ripping, tinking and cussing involved. But I think this is one that I will probably do again. Although this will probably be a one only pattern, it is by far one of my favorite finished shawls. Yarn is Zen Garden Serenity, size 2 needle. From left to right – Stroll Tonal in Foliage and Deep Waters. They were both a little more vibrant than I expected, but will make nice socks, patterns to be determined. In the middle, Shimmer in the Hush colorway. Man, I love everything about this yarn. 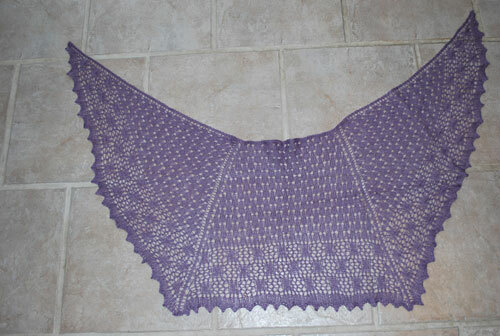 This is destined to be shawl #10, a Free and Easy Pie Wedge Shawl. The thought of a shawl done entirely in garter stitch is a little daunting, but Li has done several and raves about them, so I'm going to give it a try. I am so dying to cast this one on right this very minute, but I have some birthday socks that need to be done by Friday, so I will practice self control. The white is Lace Weight Bare. This will probably be the Snowflakes in Cedarwoods shawl by Anne Hanson. I've had this lovely pattern in my file for quite a while and think it's time to give it a whirl. So, with all of this yarn, the projects I already have started, including my son's sweater and Christmas sweaters for the girls, my knitting dance card should be filled for the next 6 months or so. Of course, that doesn't include any yarn that I might spin! Retirement is certainly not boring! Bill's mom's memorial service is this weekend, and the entire family will be in town – I think we counted about 42, so this will be a busy time. I know it will be bittersweet as we say goodbye, but will also be a wonderful time of remembering and looking ahead to great family times in the future.